Scientists have known about Zika virus for seventy years now. At first it seemed to cause only mild disease in people. Now researchers have found that a single change in the membrane protein of the virus has made it more virulent to human and mouse brain cells. Zika had surfaced in the form of an outbreak in 2007. Then in 2013-2014 another Zika outbreak began. It peaked in 2016 and revealed the true damage this virus was capable of. 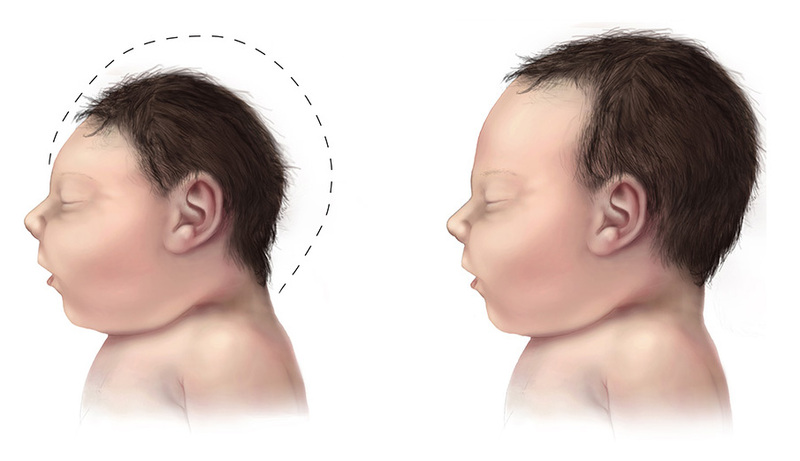 Many women infected with Zika virus started giving birth to babies with small heads (microcephaly). Had we missed that Zika causes microcephaly? Or was the virus doing something it had never done before? In their study Yuan et al, compared Zika viruses from the past to the strains circulating in the present. The strains from the past caused less severe disease than contemprorary strains. What drove the virus to become more virulent- particularly to brain stem cells? The researchers narrow it down to a single change in the outer coat of the virus. S139N – the switch in amino acids from serine to asparagine at position 139 in the membrane protein (PrM). This change was sufficient to help Zika virus infect brain cells from both humans and mice efficiently. Contributing to an unprecedented outbreak. 1. A single mutation in the prM protein of Zika virus contributes to fetal microcephaly.Yuan L, Huang XY, Liu ZY, Zhang F, Zhu XL, Yu JY, Ji X, Xu YP, Li G, Li C, Wang HJ, Deng YQ, Wu M, Cheng ML, Ye Q, Xie DY, Li XF, Wang X, Shi W, Hu B, Shi PY, Xu Z, Qin CF. Science. 2017 Sep 28. pii: eaam7120. doi: 10.1126/science.aam7120.